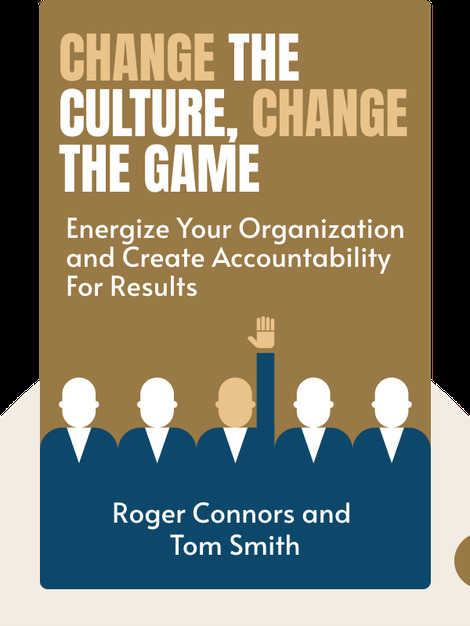 Change The Culture, Change The Game (2012) demonstrates how to implement a culture of accountability within your organization. You’ll discover how to help encourage a shift in thinking to get the game-changing results you want and explore the steps needed to sustain such changes. 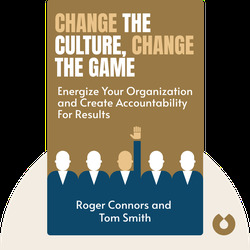 Roger Connors and Tom Smith are the co-founders of leadership training and management consulting company, Partners In Leadership, Inc. Together they’ve written three The New York Times bestselling books.